On A Clear Day – the contest! Contest closed! Winner Announced Later Today! 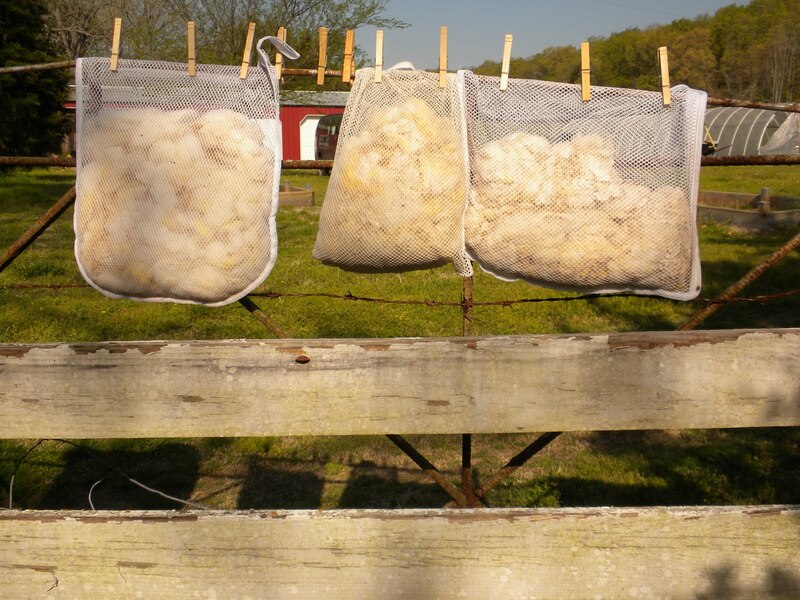 I spent part of last week cleaning more Oklahoma fleece to send the mill and have spun into yarn. Which prompted me to repeat the wooly nursery rhyme in my head over and over. You know the one..
Now I’m back to work cleaning the rest of the wooly goodness from Cordero Farms. 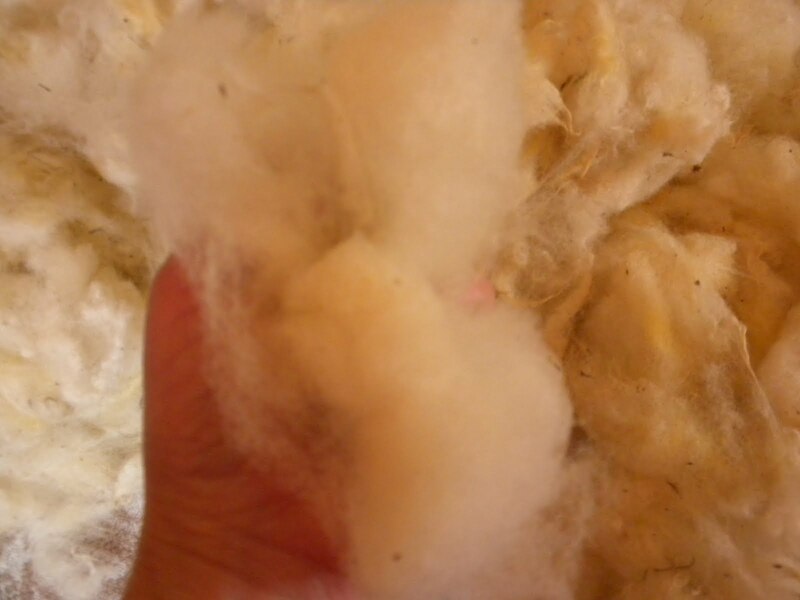 Isn’t that pretty and fluffy and well…wooly? Now think how luscious it will be when milled with a little silk or maybe bamboo! Here’s a short video that Nancy from Cordero Farms filmed of the sheep racing into fresh pasture! So while I’m up to my elbows in wool this week how about a little contest? In the comments below leave a note about what you like to do On A Clear Day, along with a link to somewhere you’ve shared about the contest (ie Ravelry, FB, Blog, or Twitter) and at 6pm Friday night, Lost City time, I’ll let the random generator choose a winner. The prize will be a skein of either North Pasture Alpaca cobweb weight yarn or Oak Barn Merino lace weight yarn in colorway – you guessed it – On A Clear Day. Remember – comment and link are both necessary to win. US participants only. 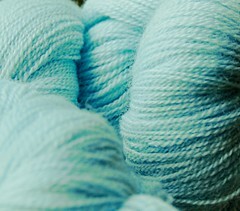 eta: the first batch of Oklahoma Fiber should arrive from the mill in early May! PreviousPrevious post:When you're cold…NextNext post:A brief contest interruption..